Life Member, Cardiological Society of India. Life Member, Indian Medical Association. Fellow, American College of Cardiology. 250 talks on DD and All India Radio. M.B.B.S., Government Medical College, Nagpur. Post Graduation (Medicine), Indira Gandhi Medical College, Nagpur. D.M. (Cardiology), T.N. Medical College, Mumbai. Completed training in Interventional Cardiology, Rouen University, France. Practiced for over 13 years at renowned hospitals in India, like Apollo Hospital, Hinduja Hospital, Fortis Hospital. 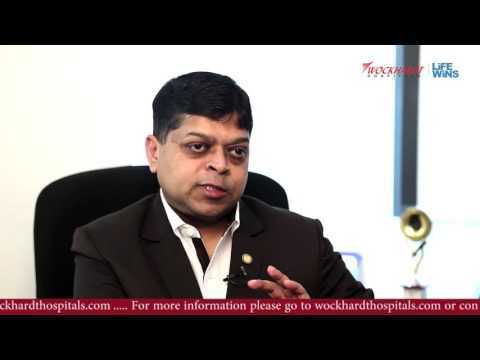 Currently a Cardiology Consultant at Wockhardt Hospital, South Mumbai. Performed 18,000 Angiographies (Peripheral and Coronary), 7500 Coronary Angioplasties and 6000 Stent Implantations. Ms. Mary Walker from Bulawayo, Zimbabwe, was suffering from sore knees for very long time and got her movements back by treating both her knees at Wockhardt Hospital, South Mumbai, India. Mr. Onome Asagbra from Nigeria consulted Wockhardt Hospitals India for his immense spine pain and discomfort in walking. Baby Kaylee, 1 year 10 months old angel from Zimbabwe, had multiple birth defects within her heart and complex defective circulation of blood in the lungs.